Abstract: The Airwheel H3S power wheelchair design was inspired by the lack of lightweight power wheelchairs available in the market. Derived from its years of manufacturing mobility products' experience, the H3S remains synonymous with Airwheel's highly held quality standards, innovation, and practicality for users on a daily basis. Choosing the ultimate mobility product adding power significantly enhances freedom by having our latest technology being incorporated in all of your mobility needs. Airwheel H3S folding wheelchair by one button provides you with the ultimate power wheelchairs that will last you a lifetime of reliability, comfort, and the ultimate mobility and freedom. The best raw materials and components are sourced to truly create a lightweight, and functional every day power wheelchair. Airwheel H3S robot electric wheelchair features a high strength lightweight frame, foldable and easy to store, breathable anti-bacterial, anti-staining, and machine washable cushion. It is equipped with a seat belt to safeguard each trip. H3S can fold up automatically. Users can fold in one-step operation. This compact, light-weight chair boasts folding dimensions of 890 X 620 X 400mm. And it allows users to be completely independent, and use the chair both indoors and outdoors. Airwheel H3S auto-following wheelchair is the perfect combination of portability and easy mobility and weighs only about 33kg. The high quality lithium ion battery gives you a long travel range. Plenty of leg room and the adjustable pedals are to provide riders a comfortable and relaxed riding experience for different users. Its App has more features with the newly developed intelligent control system. Users can get it power on or off remotely, fold and unfold it with one button. Change H3S to your smart toy. Moreover, the dual ride modes-electric mode and manual mode offer a great deal of flexibility and simple operation. 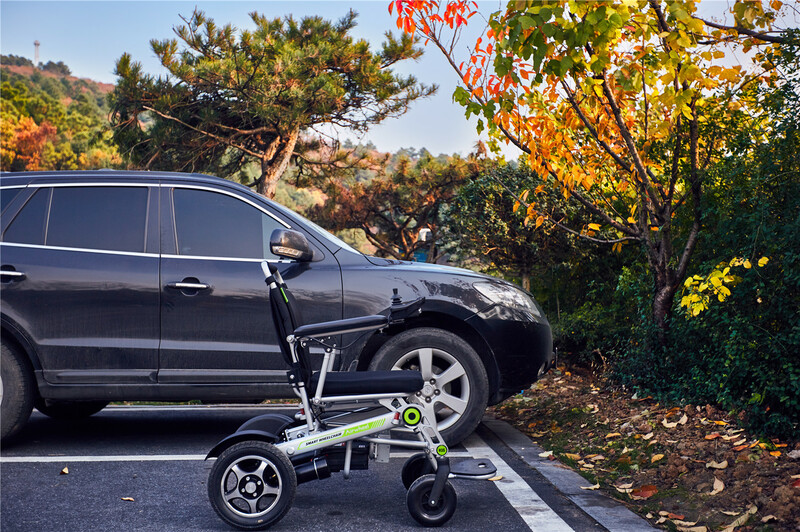 User can sit on the H3S lightweight folding power chair and push the joystick controller to go travel alone, or they can be accompanied by friends. However, this is not the end of it. H3S can also follow user automatically, as it installs visual tracking and sensor technology. 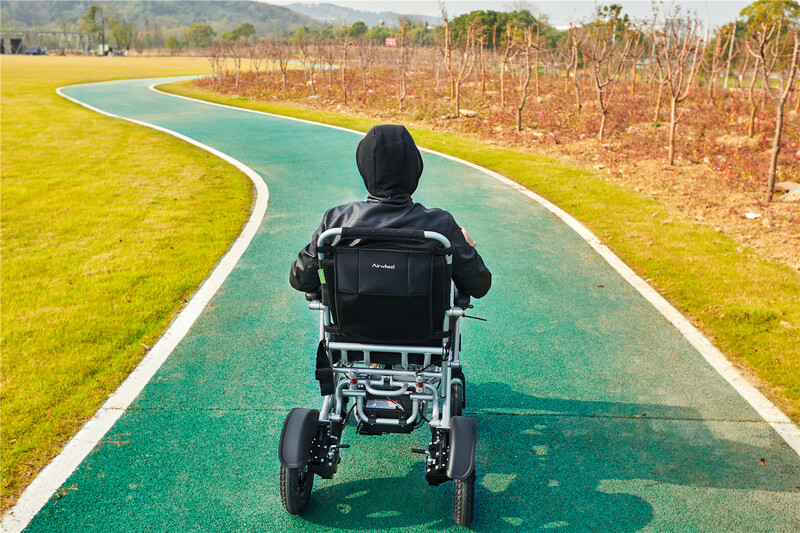 Enjoy the ultimate mobility and freedom with Airwheel H3S robot electric wheelchair.